Remember “The Clapper?” You’re ready to go to bed and, with two claps of your hands, the lights go out. In the morning, two claps of the hand and they’re back on. Now imagine waking up and asking your coffeemaker for a cup of espresso. You ask the thermostat to turn up the heat to 75 degrees. You tell your key fob to start your car before you’re even out of the door. These are the kinds of things that Kevin Kelly, in his book The Inevitable, predicts will be commonplace by 2046. This will all be attributable to what the author calls the cognifying of daily tasks through AI, artificial intelligence. That is to say, we’ll be using machine learning, but of a way higher order than we imagine. Remember Watson? 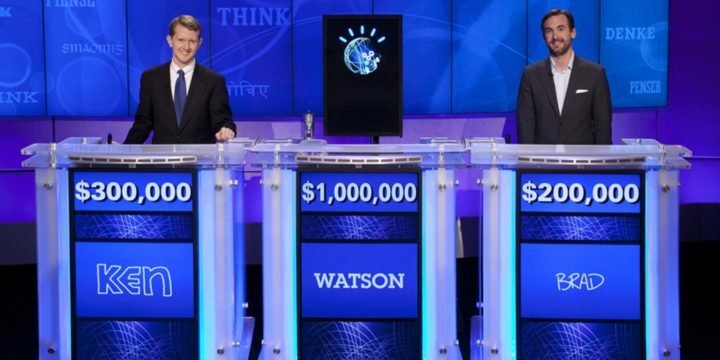 In 2011, this IBM-created computer won Jeopardy! Now it has been retooled as a kind of doctor; Watson is primarily being programmed as a medical diagnosis tool. It’s eerily accurate, and it shares information with CVS. In this sense, Watson is not a singular device — the web is really the ground of intelligence, where information streams throughout many computers and many phones to accumulate information and learn. 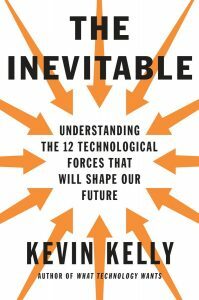 This “unified stream of intelligence” will not, however, be like Hal-9000, says Wired magazine founder Kelly. The famous homicidal computer that sings “Daisy” from 2001: A Space Odyssey is a lone gun, a single intelligence, and this is not how AI in the 21st century actually works. Rather, it is a cloud. The Internet is its mind. Take Facebook, for example, which has the ability to recognize a single photographed face out of 3 billion people online. And Google’s AI learns as you use it; use Google images to find the Easter Bunny, says Kelly, and whichever image you choose teaches Google exactly what the Easter Bunny looks like. So what happens when X = college admissions? You get “cognified marketing.” Big Data fed to algorithms results in smarter targeting. Indeed, for our robot helpers, this would be what Kelly calls the “migration into white-collar work.” Predictions of student interest can happen via AI. After all, Amazon keeps track of what you like and makes recommendations — so can a university. Student behavior — just like your own behavior on Amazon, Twitter, Facebook or Google — can be mapped. What a student is looking for, whether its financial aid information, or lists of academic programs or student clubs, can be delivered. The AI in college admissions can be entirely responsive: Do you need information about financial aid? Then you’ll receive an email within minutes with all the help you need. Or a text. Or a personalized postcard to come meet with financial aid personnel. According to Kevin Kelly, the use of AI in college admissions is an innovation that is “inevitable.” It’s only a question of who gets on board at the outset.